It’s a chilly day in old Cape Town, is there a song in them those words? I don’t know you tell me. J Please remember to click on the The Standard Bank Joy of Jazz Festival 2014 banner to see all the details of the festival. Chris Walden Big Band Full On! Saxophonist Dan Moretti’s rich and diverse performing and recording career has spanned over 30 years with just last year a world tour with legendary guitarist-producer Nile Rodgers in support of his 4 Grammys with Daft Punk. Moretti has launched a new label Roots Grooves Records, with this his 16th new release, this is the perfect time to transition to a label owner. Moretti’s recordings have spanned many jazz based styles, from straight ahead-jazz to latin-jazz, to Italian roots music and contemporary jazz. 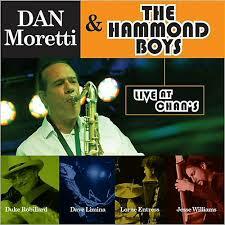 Dan Moretti and The Hammond Boys, Live at Chan’s is his long awaited soul-jazz outing. Dan was once asked what kind of music does he like and his reply was, “music that sounds good and communicates, I have to ‘get it’ from an artist.” It’s that communal feeling that makes this new recording a must play. 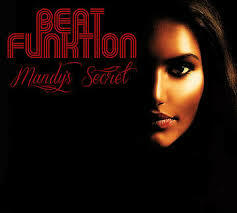 We all know by now that Swedish funksters Beat Funktion are here to stay! Not only have their their music begun to fetch fans across genres, their fan- base has also begun to encompass the entire globe, and what impresses me most is their unusually high production rate; their third album Voodooland has recently hit the US charts with extremely notable success, their second album Moon Town did the same last year, and before this year is over they already announce the release of a fourth album, intriguingly titled Mandy’s Secret. Who Mandy is and what her secret really is or symbolizes remains to be seen (or heard), but the band’s pianist and artistic director Daniel Lantz has announced that the preparations for this album actually started a longer time ago than one might think. I for one am so glade to see the new Language 12 album after a hiatus of 5 years, welcome back guys. I’ve not yet listened to it and will hear the chosen track at the same time as you dear listening peeps. So much more new music so little time, but the show goes on as is said in the classics. NB: Please note that the live streaming broadcasts commence at 10h00 until 18h00 Central African Time daily then all programs are repeated, eg. Today’s programs are repeated tomorrow evening from 18:00 and the previous days programs are repeated at 2am the following morning. Time Zone is C.A.T. 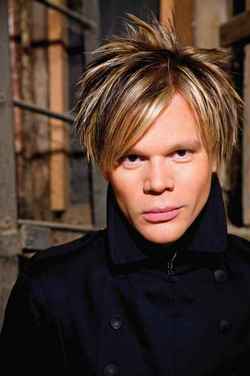 Ebony Maze Promotions presents Brian Culbertson on Friday, September 19th for the final concert in their Summer Smooth Jazz Series and Culbertson’s only tri-state show until 2015. A multi-instrumentalist by age 12, Culbertson grew up just south of Chicago, loving genre-crossing jazz-pop artists such as Earth, Wind & Fire, Chick Corea, and David Sanborn, and Sting. In 1994, at age 20, Brian self-produced his debut album “Long Night Out.” Since then, Brian has released thirteen more albums, toured around the world, and worked with industry all-stars like Maurice White (Earth, Wind & Fire) , Larry Graham (Sly and the Family Stone, Graham Central Station), Ledisi, Barry Manilow, Herb Alpert, Natalie Cole, and Bootsy Collins to name a few. Brian’s latest album “Another Long Night Out” spent 5 weeks at the #1 spot on the Billboard Smooth Jazz Charts. In addition, the first single, “Fullerton Ave.” (feat. Chuck Loeb), was also #1 on the Billboard Smooth Jazz Radio Chart for 8 weeks. Culbertson will be joined by his six piece band: Chris Miskel (drums), Eddie Miller (keys/vocals), Marqueal Jordan (sax/vocals), Michael Stever (trumpet/keys), Adam Hawley (guitar), and Rodney Jones, Jr. (bass).